Electrode arm moves in almost any direction, holding up to three electrodes safely and securely in selected positions. The arm articulates at the three points to maintain electrodes in vertical position. Designed to accept any standard glass, reference, combination, or other electrode — even a temperature compensation probe. 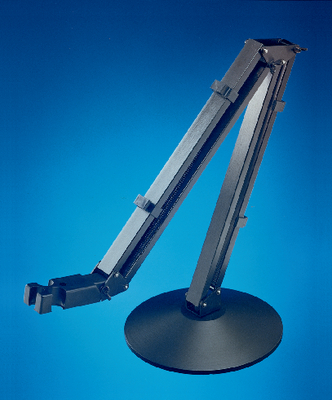 Weighted base and spring counter-balance permit smooth, fluid movement with superior stability.